Kaduna — The Chairman, House of Representatives Committee on Tertiary Education, Aminu Suleiman, has expressed uncertainty over the existence of Federal Polytechnic Ekowe, Bayelsa State, saying nothing is happening around the environment. "When we got to the polytechnic, a grave yard was easy compared to the place. The worry is that if the institution is existing, at least, there should be presence of security personnel, but there was absolutely nothing when we got there. Though, we saw a good edifice occupied by rats and lizards," Suleiman explained. Suleiman, who led other members on an oversight visit to the National Board for Technical Education (NBTE) in Kaduna, said Ekowe Polytechnic may not get appropriation in the 2018 budget because of the uncertainty surrounding its existence. According to him, the Federal Government appropriated about N4 billion to the polytechnic in the 2017 budget as well as monthly allocation of N140 million for overhead yet there was nothing to show for it. He further explained that the committee sometime ago went on oversight to the polytechnic, saying apart from being difficult to access, what was seen on ground did not show that the polytechnic was existing; neither did it show that it was performing the functions it was established for. "In fact, we had to wait for hours before the so-called rector's office was cleaned and prepared for the meeting and had to wait again before few members of the management appeared to receive us. 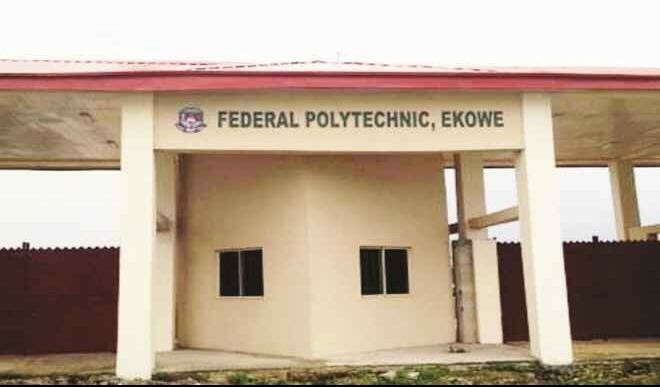 "They claimed that the polytechnic has about 110 students and over 1000 staff but there has been no document, report or nominal roll to prove that the so-called staffs were properly recruited by the Federal Government," he said. "It seems like a calculated arrangement to undermine finances going into the school. We are still waiting for official correspondence from the school," he added. Suleiman however stressed that except there is an explanation, the polytechnic would be skipped in the 2018 budget, adding that they would begin sitting on the budget in the next two weeks. "Until we are sure of the true status of the institution, no money will be appropriated to it," he stated. Responding, the Executive Secretary of NBTE, Dr. Mas'udu Kazaure, noted that the board has written several reports to alert the Federal Government that the institution was not performing the functions for which it was established. He however said that the polytechnic is situated in a hard-to-reach location, adding that it is not easily accessible by air or by road, except by water transport. He advised that the polytechnic be converted to a Navy institution.